Daryl Hall and John Oates will be touring the UK for the first time in five years during the spring of 2019. The biggest selling music duo in history will perform live at Manchester Arena on Sunday 28th April as part of the tour. The 14th round of the 2019 Unibet Premier League Darts tournament will be played at Manchester Arena on Thursday 2nd May. Watch as eight of the game's top players compete against each other for the chance to be crowned the 2019 champion. Strictly Come Dancing - The Professionals will return to UK venues in 2019. See the professional dancers from the smash-hit TV show in a glamorous new production at Salford's Lowry Theatre on 3rd and 4th May. Catfish and the Bottlemen will be touring the UK in support of their latest album, The Balance, during the spring of 2019. The Welsh four-piece will perform live at Manchester Arena on Wednesday 8th May as part of the tour. Bill Bailey has extended his Larks in Transit UK tour into the spring of 2019. The award-winning comedian will perform his acclaimed stand-up show at Manchester Arena on Friday 10th May as part of the tour. Wu-Tang Clan, Public Enemy and De La Soul will come together for a UK tour in the spring of 2019. The influential rap groups will perform live at Manchester Arena on Saturday 11th May as part of the Gods of Rap UK Tour. Hugh Jackman will embark on his first world tour during 2019. The Greatest Showman star will be accompanied by a live orchestra when he performs at Manchester Arena on Friday 24th May (evening) and Saturday 25th May (matinee + evening) as part of the tour. 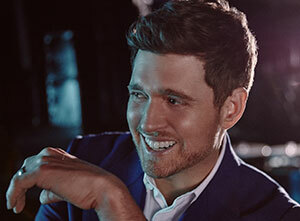 Michael Bublé will celebrate the release of his first new album in two years with a UK arena tour in 2019. The Canadian superstar will play live at Manchester Arena on 26th and 27th May as part of the new tour. Mark Knopfler has a UK tour lined up for the spring of 2019 in support of his ninth studio album Down the Road Wherever. The former Dire Straits frontman will play live at Manchester Arena on Wednesday 29th May as part of the tour. The Spice Girls are reuniting for a UK stadium tour in the summer of 2019. Geri Horner, Mel C, Emma Bunton and Mel B will play three huge gigs at Manchester's Etihad Stadium on 29th and 31st May, and 1st June as part of the tour - with support from Jess Glynne. Westlife are reuniting for a twentieth anniversary tour in 2019. Shane, Nicky, Mark and Kian will perform live at Manchester Arena on Thursday 30th May as part of The Twenty Tour. Olly Murs has a massive UK tour planned for the spring of 2019. The tour will be in support of his sixth studio album, You Know I Know, and includes a show at Manchester Arena on Friday 31st May. Mumford and Sons will be touring the UK in support of their fourth studio album Delta. The folk-rock quartet will play a show at Manchester Arena on Thursday 6th June as part of their most ambitious tour to date. Noel Gallagher's High Flying Birds will perform a huge homecoming concert in front of 25,000 fans at Manchester's Heaton Park on Friday 7th June, with support from fellow Manchester band Doves. Muse have announced a huge new stadium tour for 2019 in support of their latest album. The alternative rock giants will play Manchester's Etihad Stadium on Saturday 8th June as part of their Simulation Theory World Tour. The Backstreet Boys will bring their DNA World Tour to UK arenas in the summer of 2019. The American pop group will play live at Manchester Arena on Monday 10th June as part of the tour. Foals have lined up a series of summer shows in support of their new album: Everything Not Saved Will Be Lost – Part 1. The indie rock band will perform live at Manchester's Victoria Warehouse on 11th and 12th June as part of the tour. Metallica will visit the UK during the summer of 2019 as part of their WorldWired Tour. The rock gods will play Manchester's Etihad Stadium on Tuesday 18th June with support from Ghost and Bokassa. The Eagles will visit the UK during the summer of 2019 as part of a new European tour. The iconic American band will perform all their classic songs live at Manchester Arena on Wednesday 26th June. Lynyrd Skynyrd will visit the UK in 2019 with their Last Of The Street Survivors Farewell Tour. The long-running American band will play live at Manchester Arena on Thursday 27th June as part of the tour, with support from Status Quo.